With a few managers losing their jobs today and the combination of an FA Cup round and some international fixtures thinning out the domestic fixture list, it felt like a good time to refresh the scatter graphics. These compare the attacking and defensive performances of every team in a division. Each of the four graphics is explained briefly below and at length here. Bury are comfortably the most dominant side in raw shot terms, with Mansfield and Forest Green their nearest challengers. 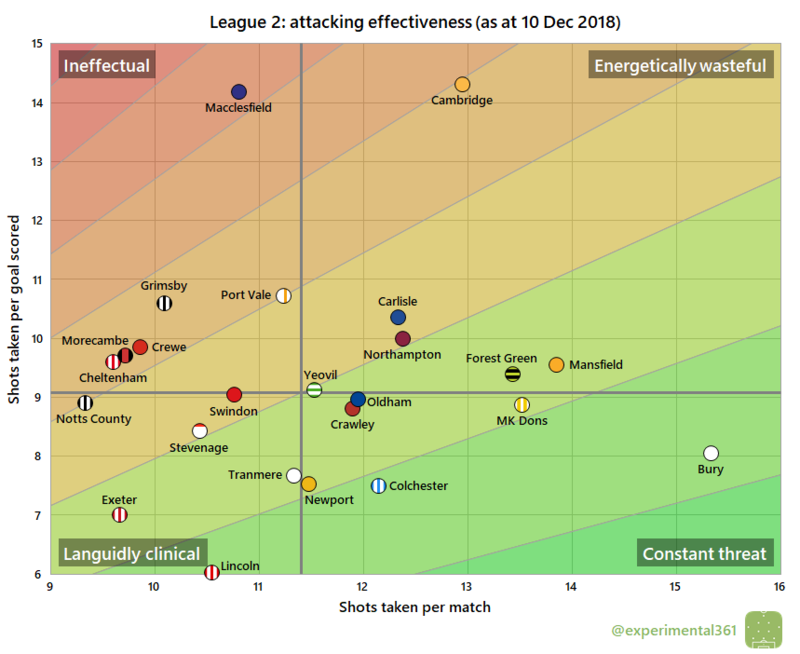 It’s not been a good season so far for black-and-white striped teams, with Notts County and Grimsby on the back foot most often. 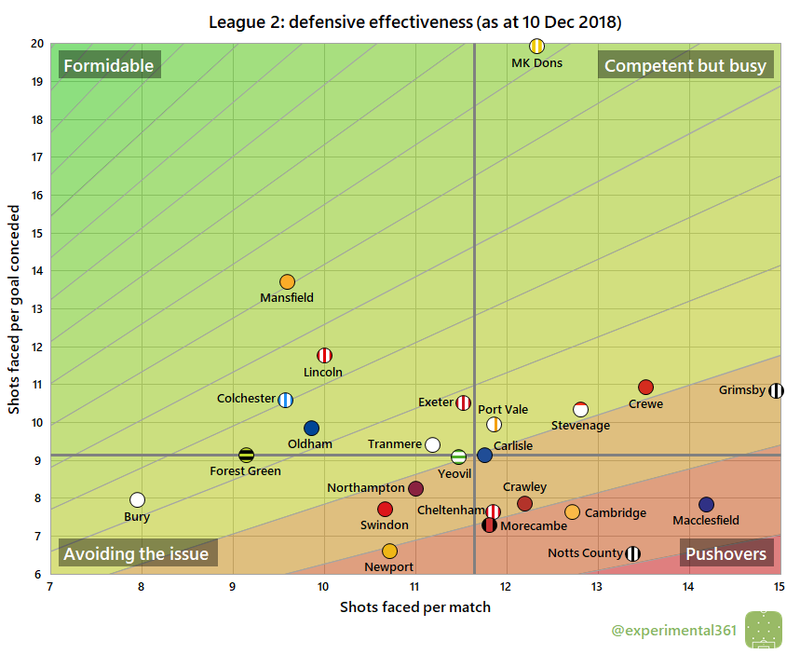 Macclesfield and Cambridge are both struggling this season and their finishing has been one of their biggest shortcomings: both have needed an average of over 14 attempts to find the back of the net in a division where the average is five fewer. 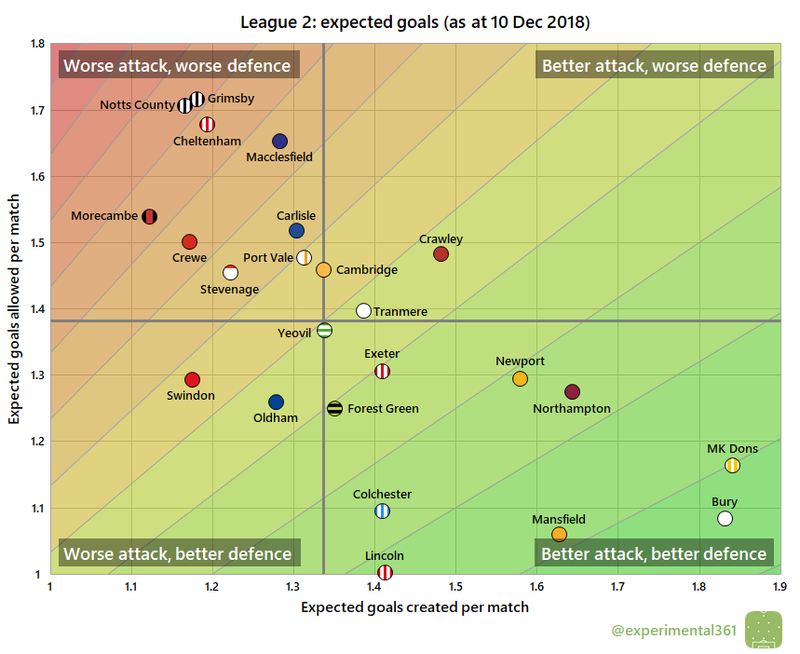 Lincoln meanwhile have built their promotion challenge on some incredibly sharp shooting, taking only six shots for each goal scored so far. 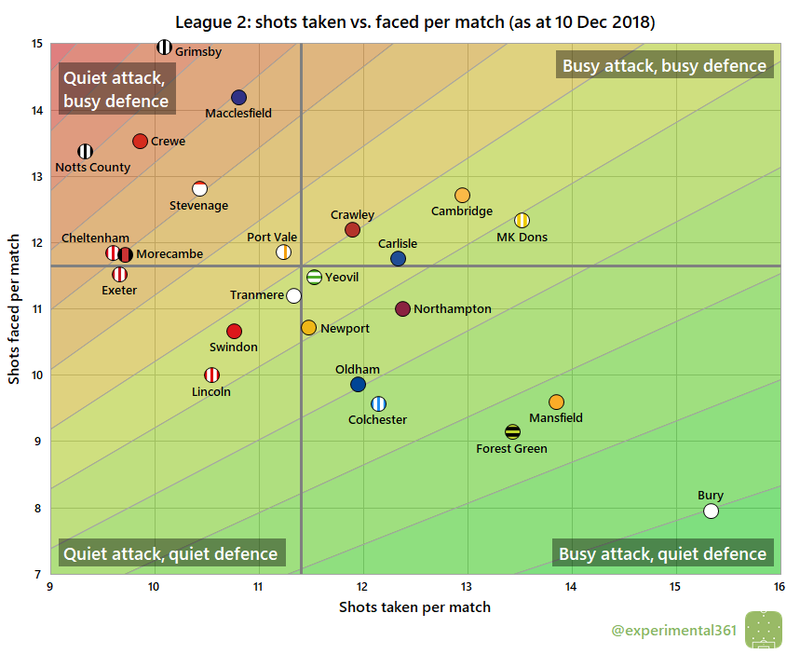 The Imps’ title rivals MK Dons are excelling at the other end, having soaked up almost 20 shots for each goal they’ve conceded, which is more than double the average for the division this season. Newport meanwhile have only been able to repel between six and seven for each time the ball’s ended up in their net. When we adjust for shot quality, Bury‘s edge that we saw in the first graphic is eroded almost completely. MK Dons and Mansfield are putting in similarly impressive performances, with Lincoln not far behind. Northampton‘s recovery from a poor start doesn’t surprise me given how good they’ve looked in the underlying data.